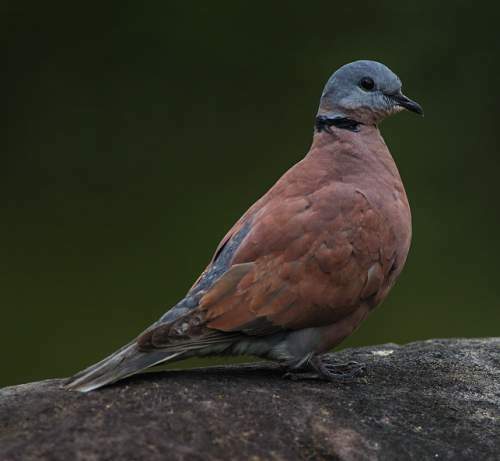 The red turtle dove (Streptopelia tranquebarica) belongs to the family Columbidae under the order Columbiformes. 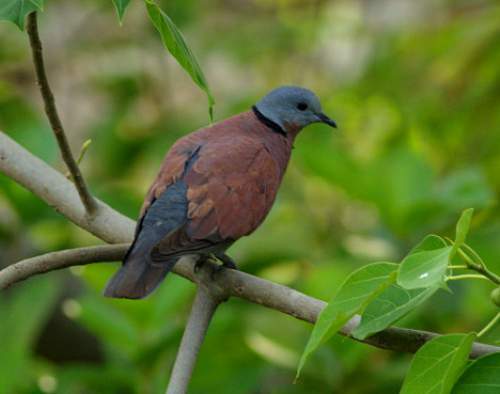 The species under the genus Streptopelia are mainly slim, small to medium-sized birds. The upperparts tend to be pale brown/pink and the underparts are usually shades of pink. Both the sexes look alike in most of the Streptopelia spp. In the species Streptopelia tranquebarica, there is sexual dimorphism in plumage. 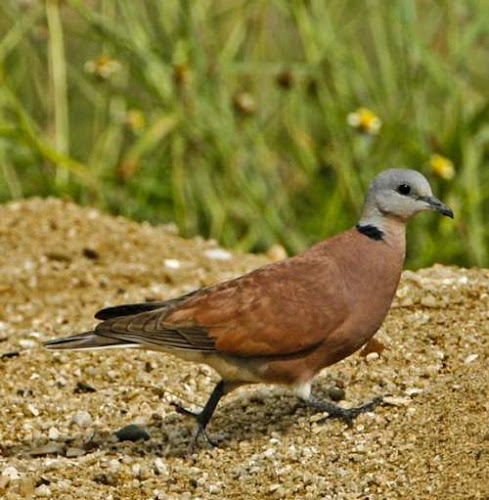 The male S. tranquebarica has vinous-reddish mantle, breast and belly. 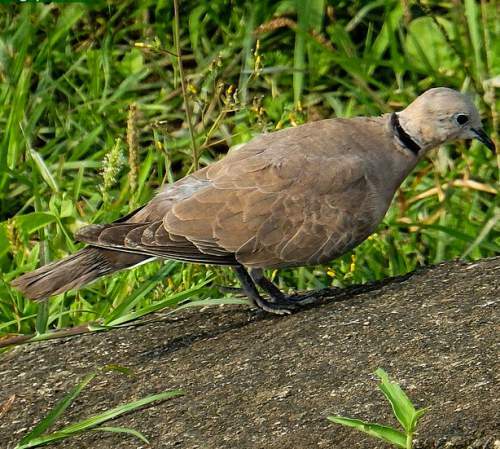 The female S. tranquebarica has wood brown upperparts and grayish brown breast and belly. 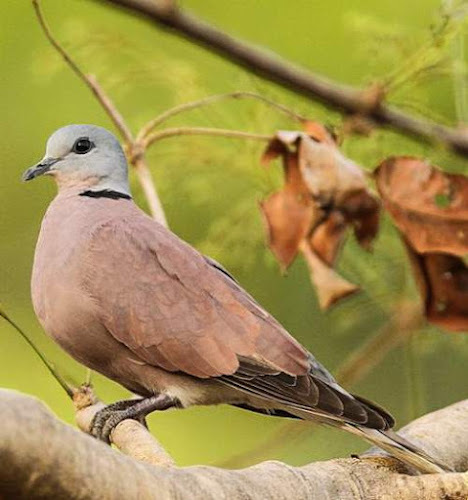 The head, forehead, crown and nape are pale bluish gray in males. 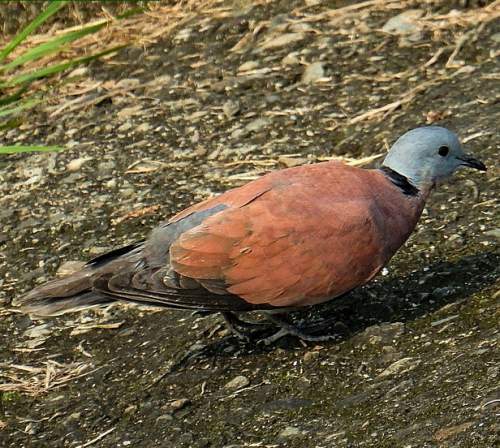 In females the head is pale pinkish brown and the forehead is pale gray. 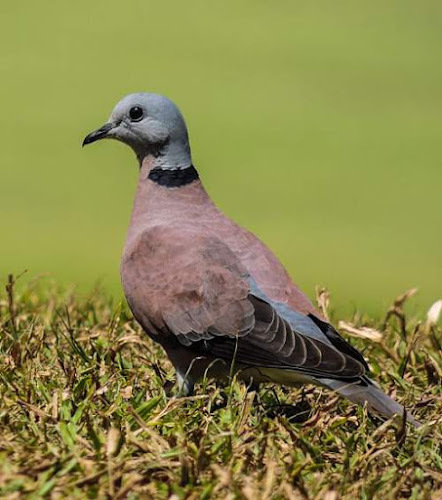 The back and rump are dark bluish gray in males whereas the back and rump are gray in females. 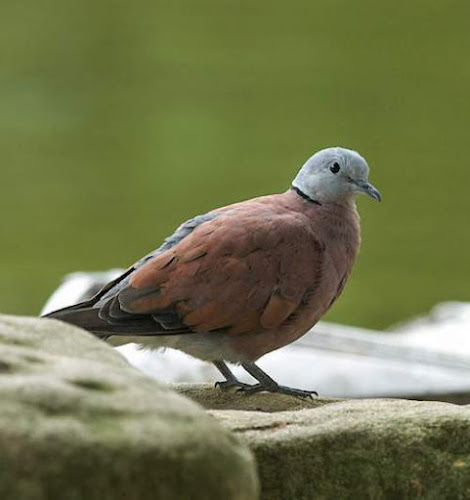 Current topic in Birds of India: Red turtle dove (Streptopelia tranquebarica) pictures.